Site. It was in about 1962. I made what seemed like a very long journey to a 10 year old riding in the back seat of a car from Odessa, Texas to Fort Davis, Texas. When we arrived we drove the car right through the park. It had been given to the National Park service the year before but no visible steps had been taken to secure or preserve the fort. 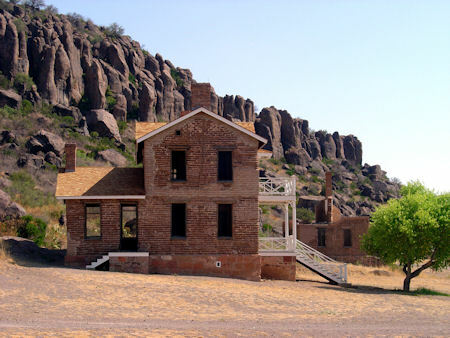 We climbed on the adobe walls for the officers' quarters and looked for square nails and bullets. We found nails but no bullets. The fort, named for Secretary of War Jefferson Davis, was founded in 1854. When a suitable location was located someone came up with a title to the land and the U.S. Government had to lease the land. The fort was originally built farther up hospital canyon than the fort you see today. In 1862 the fort was abandon by the US Army and the Confederate Army took over. In 1867 the fort was re garrisoned and rebuilt. The duty of protecting the San Antonio to El Paso road fell to the Buffalo Soldiers. Buffalo Soldiers were the formerly enslaved African American men who enlisted after the Civil War. Henry Ossian Flipper, the first African American to graduate from West Point served at Fort Davis in 1880 and was later court marshaled out of the army while serving as Acting Assistant Quartermaster. On February 19, 1999 President William J. Clinton posthumously pardoned Second Lieutenant Henry Ossian Flipper. 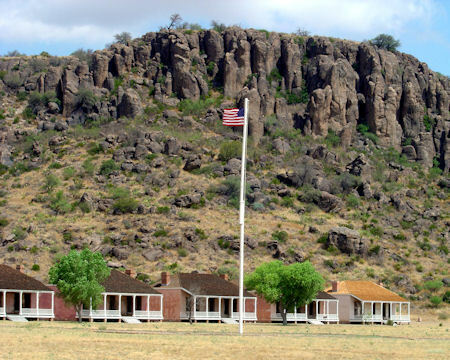 Fort Davis, located twenty miles from the nearest railroad station, built on land the government did not own and raiding by Comanche's or Apaches was over. 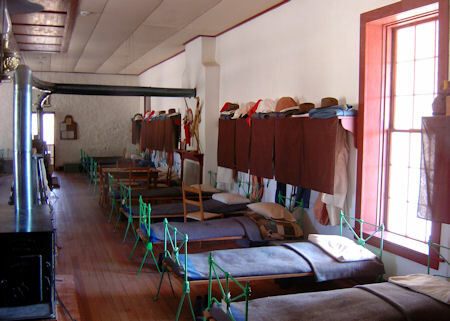 By June of 1891, the army had judged Fort Davis to have "outlived its usefulness" and ordered it - one of the largest and most prominent frontier military posts in the American Southwest to be abandoned. The fort is the best example of a frontier fort in the United States. Depending on your level of interest you can see the fort in 2 to 6 hours. There is a short hike to a bluff overlooking the fort that is worth taking. Its a great place to get a picture. A longer hike will take you all the way to Davis Mountains State park. This is at least a five mile hike.